D. K. Pattammal turns 90 today. She does not need an introduction. She established an authority on the compositions of Muthuswami Dikshithar and carries a special love for Bharathiar Songs. At 90, she looks awsome and sings awsome too :) Let us take a moment, break away from our work, touch her feet and seek her blessings. Let god keep me alive for another 10 years to sing DKP's praise when she steps in to her 100. The song in the video is written by Bharathiyar, the most versatile tamil poet of pre independence era. 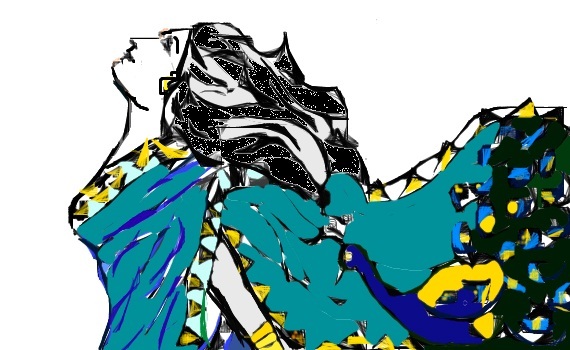 He wrote about love, freedom, kids, crow, sparrow, cuckoo, sea, clouds, Krishna - the divine child, on Goddess Parasakthi... is there anything at all that he has left in this world unwritten? A song writer who gives the raga, talaa, jadhi to each and every song of his. Properly tuned ready to sing or play. Bharathi is beyond language, one should read him to understand various facets of poetry. My only dream is to translate atleast one of his song to perfection. DKP has sung Bharathi's song on Bala Krishna in this video. Hear her voice in this recent video to believe she is 90. Bharathi and DKP who can resist? I am very happy today :D it's sad Blogger is not allowing to upload audios... 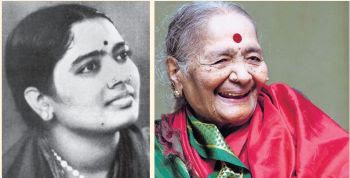 Wish I have a video of one of her old film song "aduvomae pallu paduvomae" written by Mahaakavi Bharathi. The film's name is Naam Iruvaar. For rasikas of Carnatic music and Indian dance, we present a wide and interesting collection.